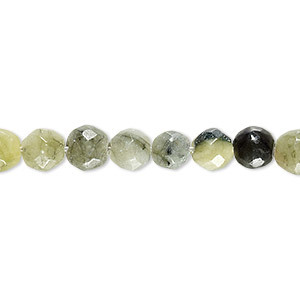 Bead, multi-serpentine (natural), 5-7mm faceted round, C- grade, Mohs hardness 2-1/2 to 6. Sold per 7-inch strand. Item Number: H20-D5953CL Have a question about this item? 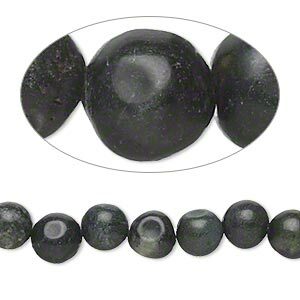 Bead, multi-serpentine (natural), 6mm round, C grade, Mohs hardness 2-1/2 to 6. Sold per 15" to 16" strand. 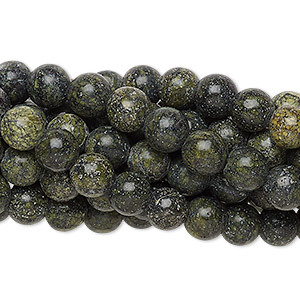 Bead, black and green serpentine (natural), 6-7mm round, D grade, Mohs hardness 2-1/2 to 6. Sold per 15-inch strand. Minimum 2 per order. 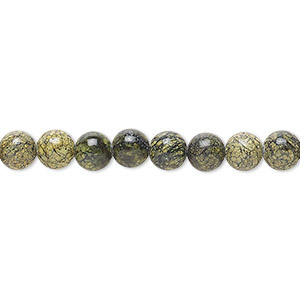 Bead, Russian serpentine (natural), 6mm round, B grade, Mohs hardness 2-1/2 to 5. Sold per 15-1/2" to 16" strand. 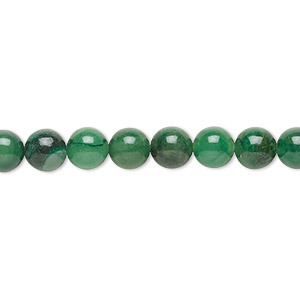 Bead, olive new "jade" (serpentine) (natural), 5-7mm faceted round, C- grade, Mohs hardness 2-1/2 to 6. Sold per 7-inch strand. 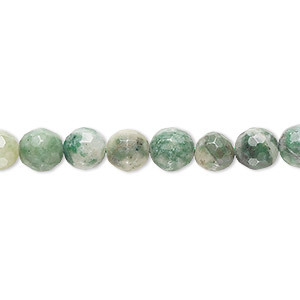 Bead, Ching Hai "jade" (dolomite and fuchsite) (natural), 6-7mm hand-faceted round, C- grade, Mohs hardness 3-1/2 to 4. Sold per 8-inch strand. 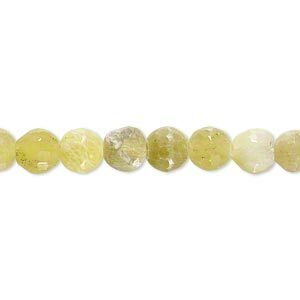 Bead, Russian serpentine (natural), 6mm round, C grade, Mohs hardness 2-1/2 to 5. Sold per pkg of (10) 15-1/2" to 16" strands. 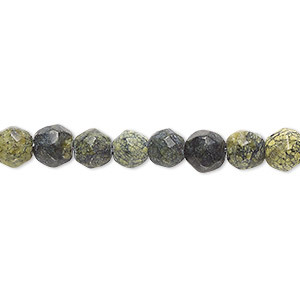 Bead, Russian serpentine (natural), 5-7mm faceted round, D grade, Mohs hardness 2-1/2 to 6. Sold per 7-inch strand. 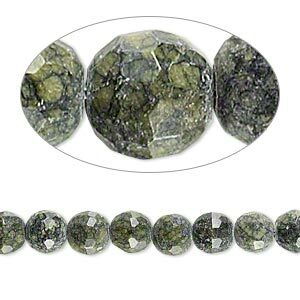 Bead, Russian serpentine (natural), 6-7mm hand-faceted round, C- grade, Mohs hardness 2-1/2 to 6. Sold per 8-inch strand. Minimum 2 per order. 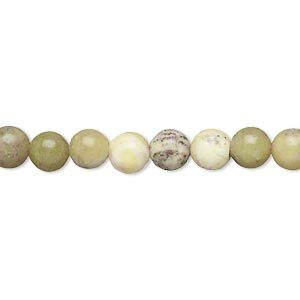 Bead, African aventurine (natural), 6mm round with 0.5-1.5mm hole, B grade, Mohs hardness 7. Sold per 15-1/2" to 16" strand. 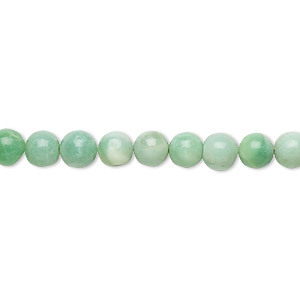 Bead, chrysoprase (natural), 5-6mm hand-cut round, C grade, Mohs hardness 6-1/2 to 7. Sold per 13-inch strand.